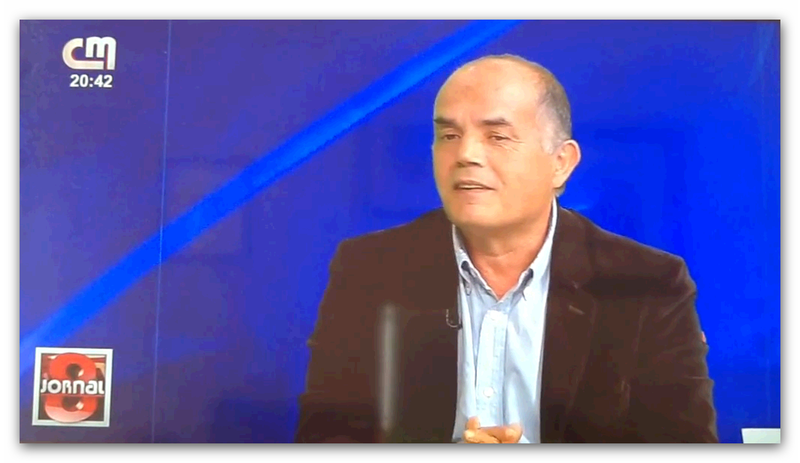 This program was broadcast on the 8th of June 2014 by Portuguese CMTV. 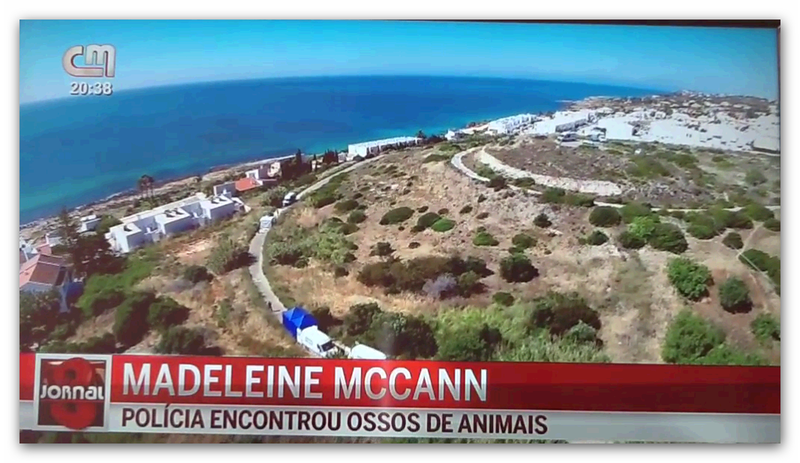 It is, essentially, an outline of Scotland Yard’s “media staging” on Praia da Luz – the location from where Madeleine McCann disappeared in Portugal seven years ago, in rather unusual, suspect circumstances. Her disappearance has captured the world’s imagination and given rise to many theories about what may have happened – ranging from the parents’ “official version” of events to those of Dr. Gonçalo Amaral, Martin Grime , Eddie & Keela and others. 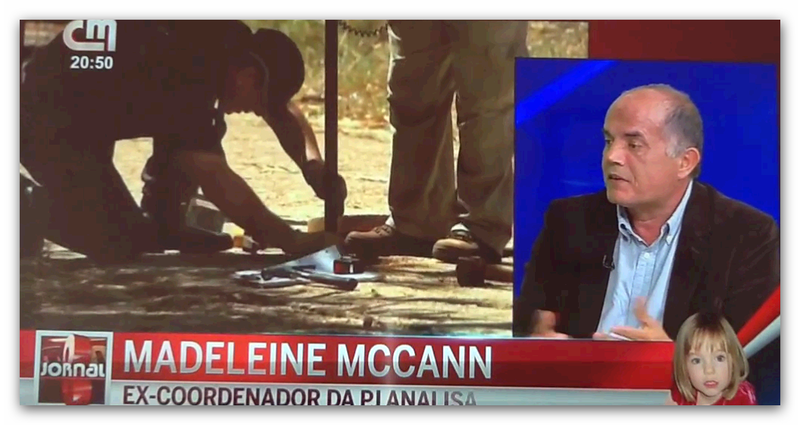 The program counted with the participation of Dr. Gonçalo Amaral – the former Portuguese senior police inspector who led the first investigation into the disappearance of Madeleine McCann, still regarded by many analysts as “the real investigation”. An investigation “interrupted” because it lacked “political correctness” but which in the end, diplomatically blamed the parents and/or their friends for the inconclusive outcome. 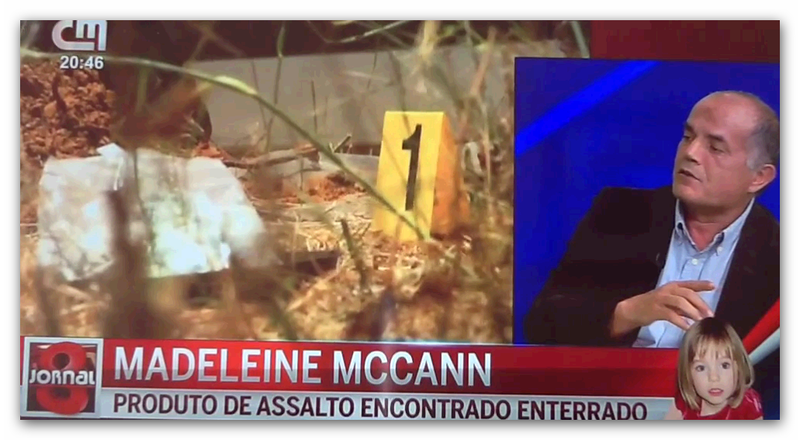 Dr. Gonçalo Amaral describes Scotland Yard perambulations in Portuguese territory as a “farce” – an exercise in “media staging” – an opinion he shares with prosecutors, experts analysts, bloggers, vloggers, journalists and commentators world-wide. 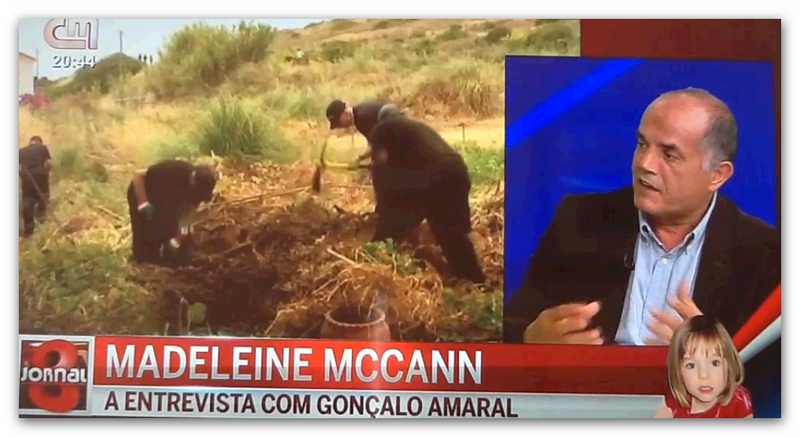 Are we then to believe “Operation Grange” is nothing but an elaborate coup de thèâtre with the intent to denigrate the Portuguese investigation, demonize Dr. Gonçalo Amaral and, in the process, beatify the negligent parents? That it is all part of the on-going reputation management of the McCanns’ brand image, masterminded by Clarence Mitchell – their media monitor and spokesperson? 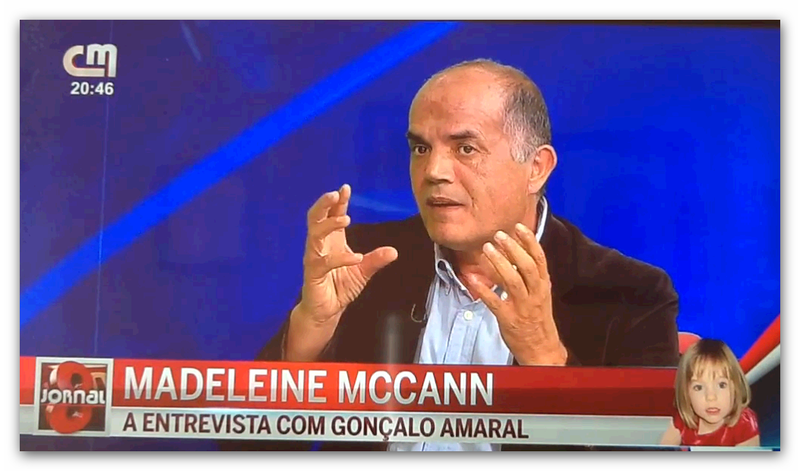 The fact is, Scotland Yard’s “new”, often preposterous “breakthroughs”, and the British media occasional flurries of “McActivity” nearly always coincide with the on-going court procedures to silence Dr. Gonçalo Amaral and have him pay €1,2 million into the McCanns’ burgeoning bank account. Some have even suggested the dates for subsequent “searches” will depend on the last (pending) session of the trial. This way (they argue) it is hoped Scotland Yard’s prestige might be able to influence the Portuguese judge’s decision on behalf of the McCanns’ or at any rate divert the public’s attention away from the trial and thus help fabricate a global image of the couple’s innocence – reputation management at its best and most expensive! 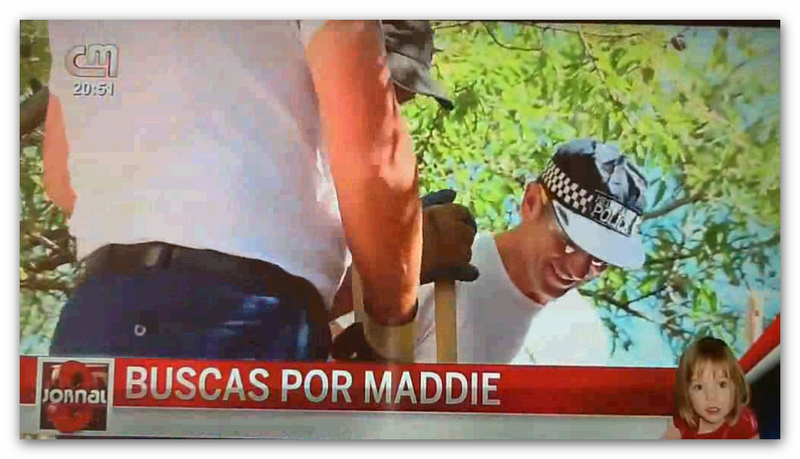 Some have gone as far as to speculate Scotland Yard’s objective, may have been to collect an assortment of random, pseudo-forensic samples in order to cross-contaminate them later with Madeleine McCann’s DNA and the genetic codes of suitable suspects. As the theory goes, the British would then be in a position to “scientifically” exonerate the parents from any wrong doing, in a rather “conclusive manner” – namely by “identifying” and bringing a petty criminal to Justice! May be two or three – depending on the logistics and technicalities involved. But would the Portuguese authorities be that gullible? I asked. “So far, they seem to have been!” – wrote back the troll. Another way to look at Scotland Yard’s shenanigans (another creativo argued) was to imagine the Metropolitan Police simulations of reality as a variant of Operation Mincemeat – a fine example of British creative (and deceptive) imagination at its best. Whether Scotland Yard will turn up with a scapegoat (or two), a dead body, a Madeleine look-alike or the real McCoy, no one knows for sure. Those who suggest the possibility of covert, vested interests at play, are quick to point out that the McCanns’ reputation manager – Clarence Mitchell – is also a candidate in the next UKGB General elections for the Conservative Party. 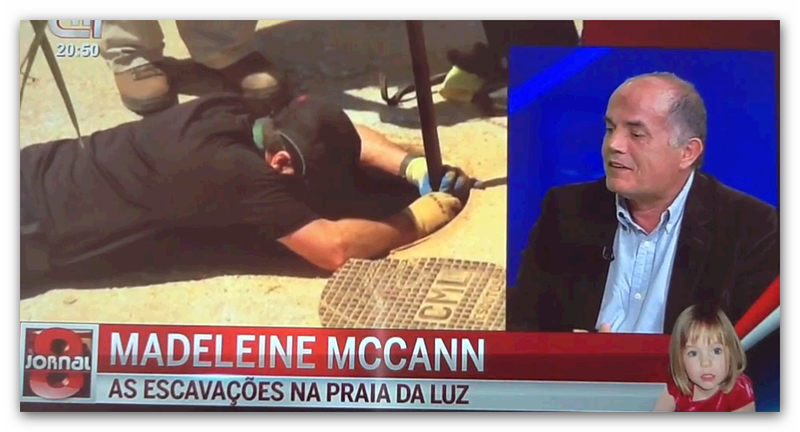 The connection – if you believe in conspiracy theories… is the leader of the Conservative Party, prime-minister David Cameron, is the one who ordered Scotland Yard’s “review” of the Madeleine McCann’s affair and, allegedly, “told the errand boys not to come up with any stupid sh**!” – pass the colloquialism! At any rate, David Cameron’s connections with Rebekha Brooks, the Murdochs’ not to mention the Freuds’ are well known. Whether Cameron’s decision was taken on ideological, hegemonic, strategic grounds – or simply for reasons of personal acquaintance and friendship – the potential outcome is likely to be a “whitewash”. Disclaimer: As usual, we take no sides and remain open to all possibilities (and outcomes) on the grounds that, statistically at least, the probability of any conceivable event is always greater than zero. Therefore aside from commenting, we make no inferences, draw no conclusions and pass no judgement. For non-protected sources, details and background information please click the words/sentences highlighted in grey. Also a note of thanks to the indefatigable Joana Morais – a woman for all seasons – for “googling” out the original Portuguese material recorded by Madalena S.L.Gomes and thus making this material available to translators. Muitíssimo obrigada! 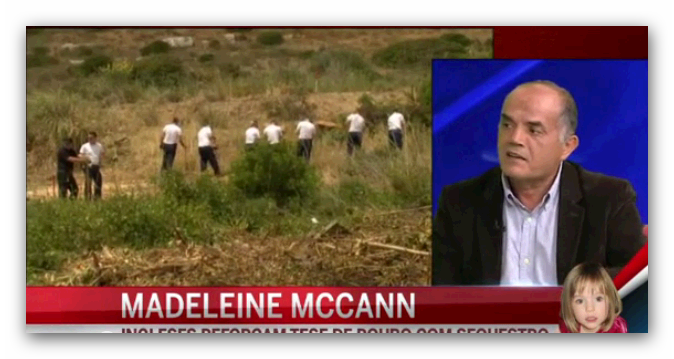 Presenter – Marcos Pinto (MP): So far, the results of the search (in Praia da Luz) for the remains of Madeleine McCann, have not been very encouraging, The findings (if any) were limited to a few animal bones, a man’s sock, two cannabis plants and a lot of soil samples. 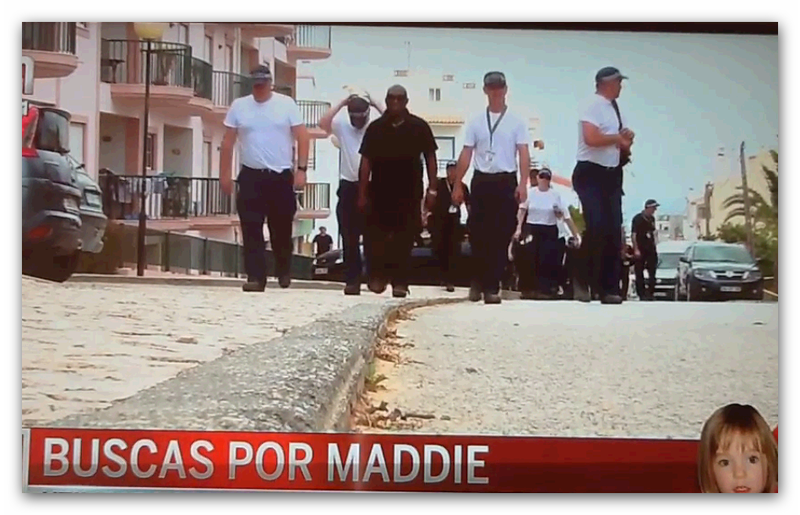 Reporter+Voice Over=Rui P. Gomes (RPG): It took time for this mega-operation search to be authorized but, as soon as it was given the green light (the go-ahead from the Portuguese authorities) the British police force – together with their equipment and suitcases – soon landed in Praia da Luz. The first stage of the operation, took place in an extensive area by the sea. On the operational stage, there were sniffer dogs, geo-radars and forensic geologists; thirty elements of the English police and twelve of the (Portuguese) Judiciary Police (PJ). The excavations – with pickaxes and spades – in several locations of the (targeted) wasteland went on for weeks but, the results were not, exactly as might have been anticipated. 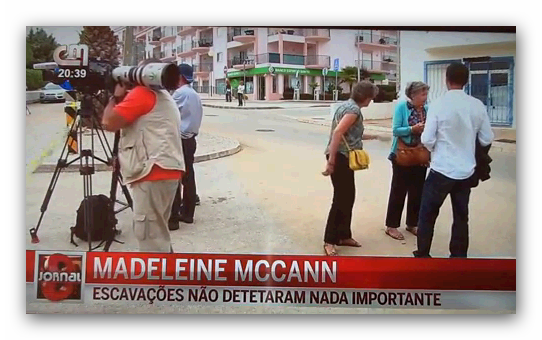 In Praia da Luz very few believe in the successful outcome of this mega-operation, and much less in the thesis put forward by the English police – who suspect the child was taken from her apartment by three burglars. (RPG) These searches are being perceived – by tourists and residents alike – as if the filming of a thriller. 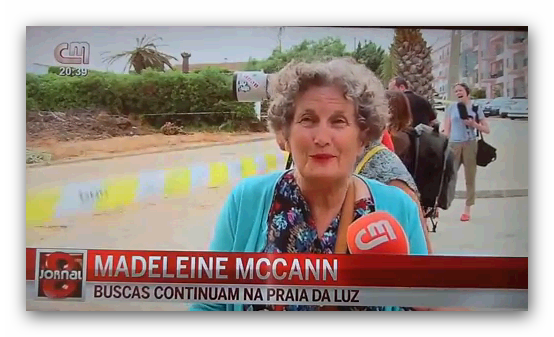 In spite of the (Portuguese) authorities reassurance (insisting) that all expenses are being met by their British counterparts, there are some who have doubts about who is meeting costs of the Portuguese forces; personnel who left their duties elsewhere in order to be deployed here, in Praia da Luz. (RPG): After a week of searches, the collected forensic traces have been placed in boxes – a man’s sock, two cannabis plants, soil samples and a hell of a lot of stones. 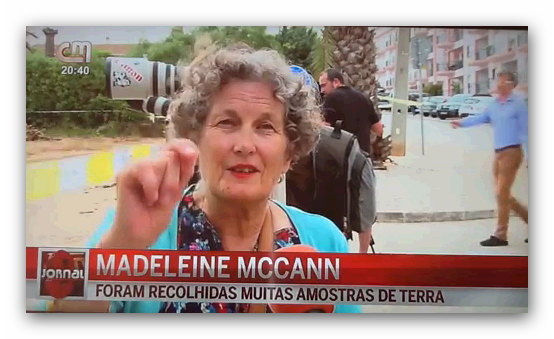 All of these to support the (British) investigators’ thesis that Madeleine McCann is dead and (somehow) was led through this waste ground or perhaps, more simply, to deepen the mystery of the English child’s disappearance. From the GNR alone (Portuguese National Republican Guards) forty elements were in place to provide security to the operation. Another forty from the English police and the Portuguese judiciary police (PJ) were involved in the searches. This was an operation backed up by geo-radars, sniffer dogs, forester-firefighters and many other people who helped to safeguard and ensure the success of this operation. Nonetheless, not much evidence was found and indications, if any, were very few. The final result was inconclusive. 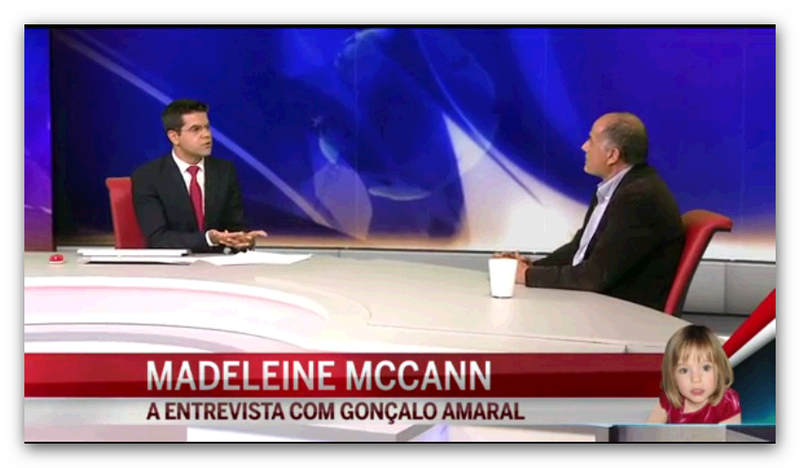 (MP): For all these reasons, a conversation with Gonçalo Amaral was a must (then addressing Gonçalo Amaral) – what do you make of this week’s film of the searches (by the British police)? Dr. Gonçalo Amaral (GA): That’s exactly what it is – a film (smiles). Some British journalists describe it as a farce, a staging for the Media. Perhaps they are right. That’s all there is to it. What is very serious, alarming even, is their attempt to stage a new thesis – a theory if you prefer – that involves someone, a burglar (who breaks into the apartment) intent on stealing, is frightened by a three-year old child, kills her and then takes the body with him – a rather far-fetching scenario (to say the least). I remember a colleague, a British colleague who also happened to be from Scotland Yard, proposing exactly the same thesis (by the way, he was the only one from Scotland Yard around at the time). We analysed this hypothesis at the time; discussed it and eventually dismissed it as implausible. Scotland Yard now added a few condiments to make it more palatable (acceptable). 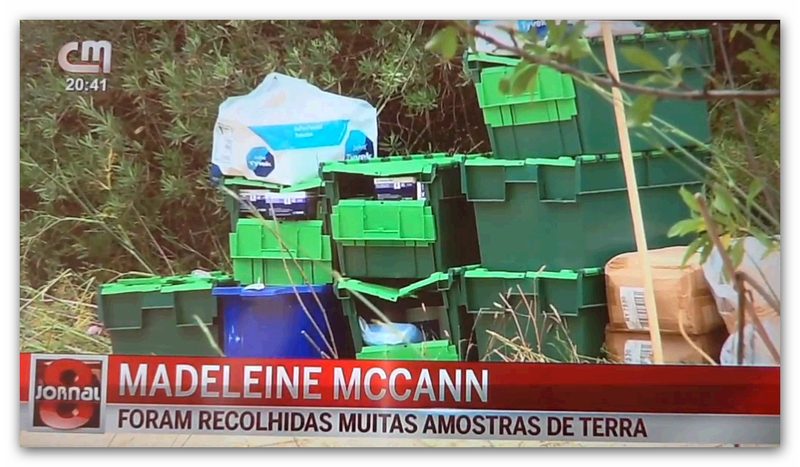 The bank statements are not from the McCanns’; they were not removed from their apartment. Nothing was removed from that apartment. Nothing was stolen. 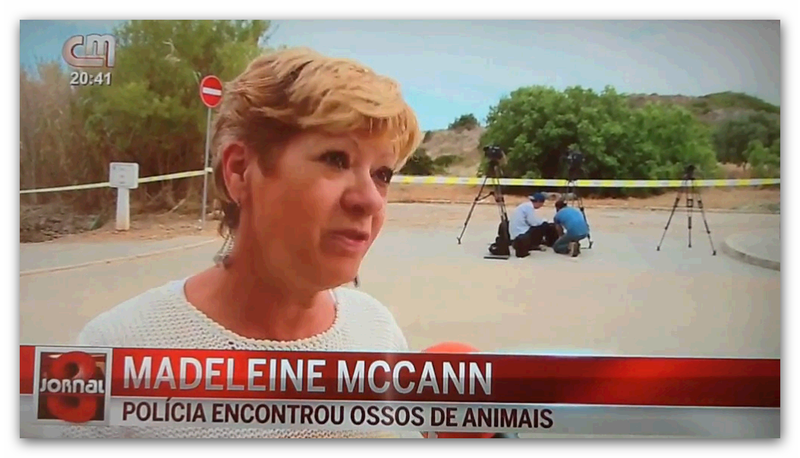 The only “thing” that was removed from there – and I say “thing” in brackets for it was not a “thing”, it was a person – the only “thing” missing from there, was Madeleine McCann! Not a television set, not a camera, not a thing! There were no traces of a break-in either! Therefore there was no burglary. Not theft took place in there. And so it seems (Scotland Yard’s) new theory is simply (to provide an opportunity) for yet another performance, a “farce” as some Media, some British journalists have suggested. (Probably) this is all there is to it. (MP): And who do you think is writing the script for this farce? (GA): Who is (probably) writing the script (for the farce) is Scotland Yard! Obviously, they are having difficulty in wrapping up the investigation. It seems they have now arrived at the conclusion the child is dead. At a later stage, they will concede being unable to find the cadaver and, eventually, their inability to solve this case! (MP): But who is pressurizing Scotland Yard? Their government? 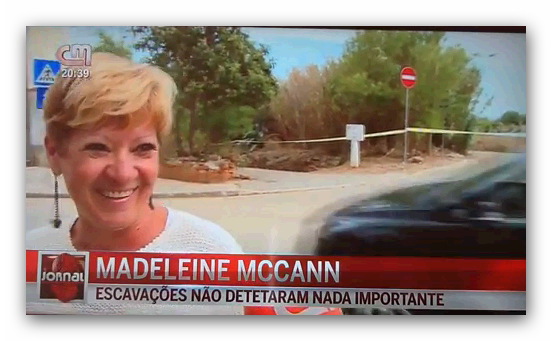 The McCann family? Who? (GA): Time itself! A lot of time and money have been wasted. I remind you this is a special team from Scotland Yard who, for a very long time, have been working on this case. Surely this has cost a vast amount of money to the British tax payers – and ours as well! The public is already aware of the time and resources spent by our authorities, our public services, with these so-called searches. Surely, these expenses are not being met by the British! (MP): I understand that in your opinion this (search) is nothing but a diversion manoeuvre but (in that case) what would be the intention behind it? (GA): It is a diversion manoeuvre in the sense that it insists on ignoring, it tries to make us forget what is already there, in the process files. If you pay close attention, while the public is being entertained with the searches, no one is discussing what is in the files, what is actually recorded in the process. The search areas are huge, yet you see them hanging around, searching and digging, mostly by the delimiting police lines (in other words) as close as possible to the media and TV cameras, (as if to facilitate the filming and reporting). And while all this (show) is taking place, no one is discussing the circumstantial evidence (in the process); that which had been given as proved – namely that there was a simulation of an abduction. What we have in that report is a simulation of an abduction. Now we are asked to assume that these burglars were extremely intelligent and decided to take a dead child with them (dead because they killed her or because she died of fright). That they might have thought: “Let’s take the child away with us, because the consequences of an homicide are much worst than those a theft”. And to make it all more plausible, they are supposed to have simulated a kidnapping – which is where that story of the window found open with the slats of the blind jimmied and the curtains blown by a draft, comes in as if to suggest the child was taken through it, and so on. It seems these burglars must have been very intelligent indeed! Unfortunately, soon afterwards, they run out of common sense and leave the body not far from the crime scene. That was not so clever, was it? It was as if, suddenly, their intelligence had gone. Another thing that does not seem to match reality is this – they were supposed to be three of them and have arrived at the apartment by feet and yet, if you recall, only one of them was seen carrying the child towards those fields (the British police are searching). But fair enough! It could have happened as they imagine it did. There were several mobile phone pings in that area (whatever that means) the problem is, I don’t see anything, garbage or otherwise, capable of giving any substance to Scotland Yard’s new thesis. (MP) But where do these eight suspects appear from and then the decision to interrogate three of them only ? (GA) It’s easy. They appear as a result of checking the records of mobile phones numbers used in that area around the time of the crime – that very same night say, and then finding out who owns them and who has a criminal record. But, to assume these traffickers were also thieves – that is quite a leap of faith! 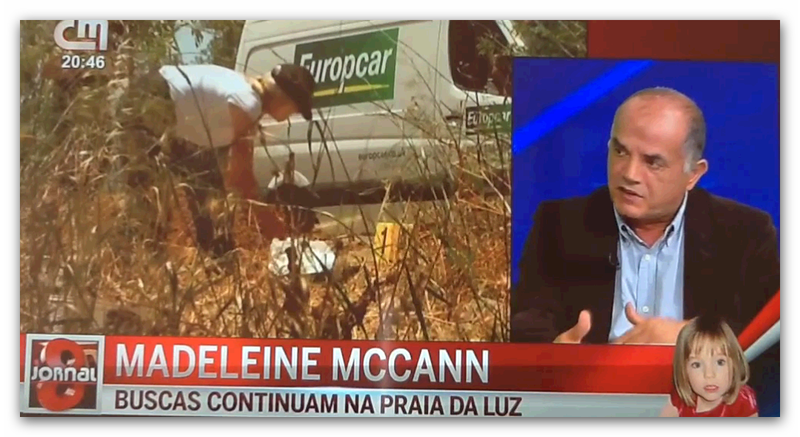 To presume traffickers go around burgling houses, reveals a complete lack of understanding of drug trafficking in Algarve, what it entails, and the people behind it. Translators note: Dr. Goncalo Amaral ought to know for he was once head of a police squad involved in the fight against drug-trafficking. But fair enough, they could have been talking about dealers who sell a few drugs and then go around stealing to support their own addiction. The other preposterous comment, concerns their finding of two cannabis plants and then, the jump to the conclusion that was the area where they (the traffickers) hid the drugs! This is madness! This people must be totally bonkers! If only they had walked just a few kilometres upwards, they would have found not two, but hundreds of cannabis plants. This is because foreigners, who live in that area, enjoy (smoking) the plant and some even grow it – but that, in itself, does not indicate the presence of “traffickers”, (as the British readily assumed). This finding in no way represents the trafficking of drugs, its connections with Morocco and other countries; (I mean) the organized traffic which has some power and resources and of which, by the way, they initially spoke of. Initially, we even heard of a high speedboat moored nearby which, supposedly, took the child with away and so on. 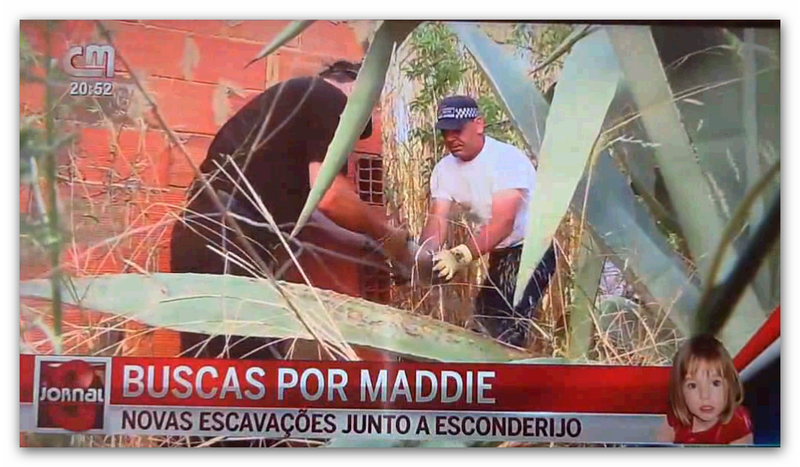 (MP): Do you see any cause-effect relationship with the fact these searches, these excavations, started soon after Madeleine McCann was, officially at least, declared dead by the British authorities? (GA): No. That declaration relates to a kind of “civil death” if you like. We have the same type legislation in place here (in Portugal) except here is five years (not seven), I think. Not sure. This operation was planned before then, except only now it has been approved by the Portuguese authorities. Incidentall,y these searches and excavations are taking place in areas that had already been the object of searches and excavations seven years ago! We have already been there, done that! They are nothing new. Translator’s note: Dr. Gonçalo Amaral uses the Portuguese colloquialism: “Like raining on a surface already wet!” – meaning “doing the same thing over and over again” or more colloquially: “Been there! Done that! Have the T-shirt!” – nothing new. But fair enough, it is possible they have in hands some other, more credible, information except it does not seem they do. It seems to me that if Scotland Yard had something more credible, they would not have wasted time and would have gone straight to their target in the very first day – they would not have bothered with all this mis-en-scène to arrive at a given point, do you follow? 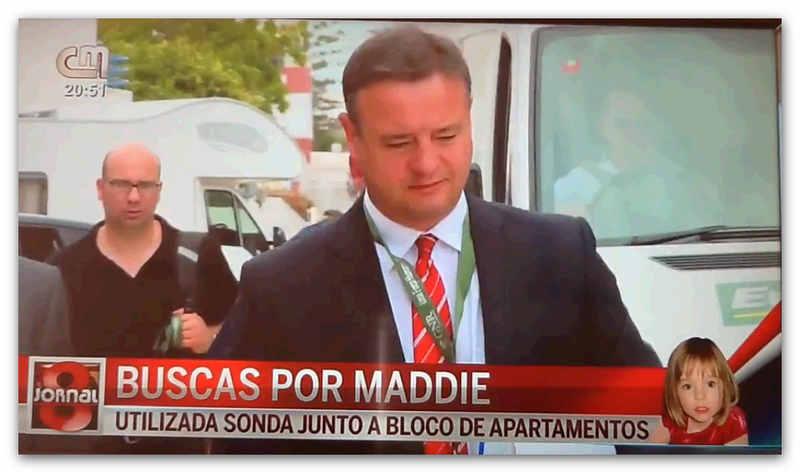 (MP): Goncalo Amaral, if I may, I would ask you to stay with us a little while longer while we update our viewers with new developments in this story. Today, the British investigators returned to excavate what they described as a “hideout” – a place where, incidentally, they had searched before. 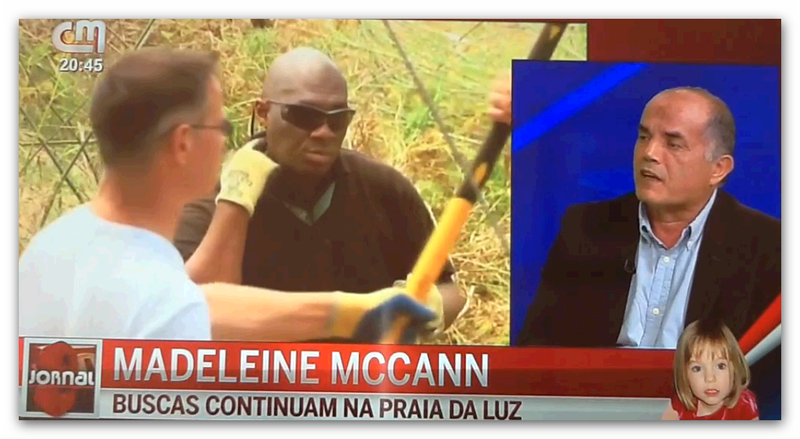 As CMTV’s reporter pointed out, Scotland Yard will end today “the first phase of their searches” – as they put it. 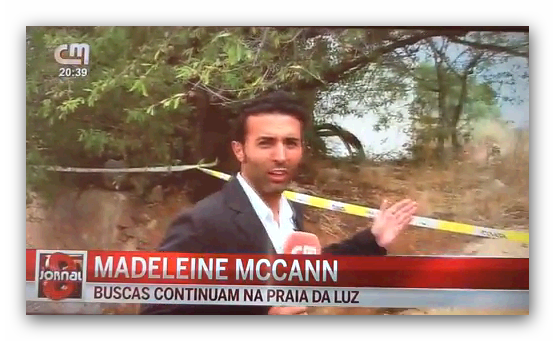 They will resume next Wednesday elsewhere, but not far from of Praia da Luz. (RPG): On their sixth and last consecutive day of searches, the British battalion of policemen and forensic specialists opted for an early start. They were led into action by “Operation Grange” top-dog Andy Redwood – seen carrying, under his arm, a bunch of files and documentation. This latest coup-de-thèâtre signalled the end of the “first stage” of the searches. The front-line of the British police “battalion” led by detective chief inspector Andy Redwood (hidden at the rear). In a fight against time, the British police brought in their ultra-sound probes to analyse the sub-soil in an area close to street “25 April” and a number of apartment blocks. The detectives seemed to be focusing in the few remaining areas which they believe to have been disturbed, and which might contain forensic vestiges or clues which could help to solve the case. But, after six days of fruitless searches, tiredness and disappointment was showing in their faces. Some even tried to hide it with the odd faked smile or smirk. That said, the police was meticulous – not even an old collection of bottled wine found near a shack went amiss!